By Niala Boodhoo, Libby Foster, and Steve Morck. Many of us will be celebrating Thanksgiving tomorrow, but what that looks like varies a lot from household to household. For a lot of us, Thanksgiving can be a time to come together with friends and family. Thanksgiving can also be a time to come together across different faiths. This past weekend, Interfaith Alliance C-U hosted their annual Thanksgiving celebration at the Krannert Center for the performing arts. Amidst the music and celebration was a message of unity and diversity. Rabbi Alan Cook joined us in our Urbana studio. Rabbi Cook is from Sinai Temple in Champaign. And also in the studio was Imam Ousmane Sawadogo. Imam Sawadogo is from the Central Illinois Mosque & Islamic Center which is in Urbana. Our own 21st family has some of our own tech savants, and they joined us to answer some tech questions today. Mike Bohlman is the Assistant Dean of Technology with the University of Illinois College of Media and Chief Digital Officer at Illinois Public Media. And Irene Sakellarkis is a Senior IT Specialist at the U of I’s College of Engineering. Every year @mbholmann's uncle asks him "What computer should I buy?" Mike advises people not to buy whatever is on special, despite the sale temptation. Get the computer that you need. 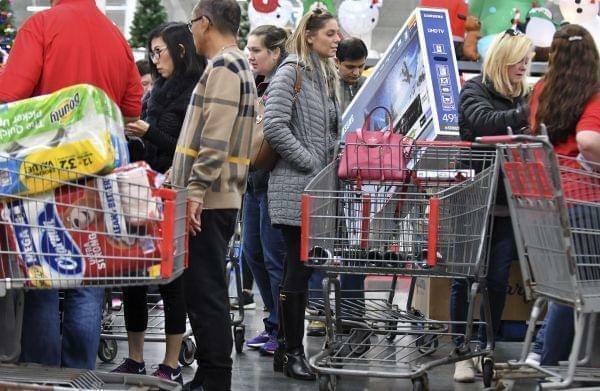 What originally began as one crazy day of shopping has expanded to week long sales and deals. And, Black Friday and Cyber Monday combined generate billions of dollars in spending. But how's retail actually overall? And here in Illinois? With big box stores like Toys "R" Us and Sears filing for bankruptcy, are brick and mortar stores doomed against online retail giants like Amazon? From Springfield, NPR Illinois reporter Mary Hansen joines us. Also we also had Rob Karr on the line. Rob is the President & CEO of Illinois Retail Merchants Association.